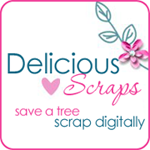 Delicious Scraps: A ton of LOs by Toni!! A ton of LOs by Toni! !